iTunes New Original Song "Coming Home"
Chet's Music Video "Where Am I From"
This music video was filmed over a two day period in the Bourbon County area of Kentucky. The garden at Henry Clays estate was featured as well. PBS Feature on Chet's Music! This short film is a feature on Chet's music and how he settled in Kentucky. It was aired on Public Television KET. Chet's music featured on iTunes! At the moment Chet Lott picked up his first guitar as a child in Mississippi, playing music became a monumental part of his life. Growing up in an area with such a rich musical heritage, it’s no surprise that he would aspire to sing and write the music he loved. It was just something that came natural; an expression of who he was and where he was from. Chet Lott has achieved a wide range of experience in the music industry. From live performances to studio sessions; he’s done it all. He has shared the stage with many well known entertainers including Rickie Lee Jones, Taj Mahal, Larry Gatlin, John Michael Montgomery, Guy Hovis, Troy Gentry, The Oak Ridge Boys and Exile. His studio work includes his independent debut album, “Erased It” and his follow-up CD entitled “Wild Ride”, both produced by his co-writer and mentor, award-winning singer/songwriter, JP Pennington. Most recently, Chet has released an original song on iTunes entitled "Coming Home". Chet Lott has created a unique musical style all his own with his blues infused Mississippi style country. It’s fresh and edgy, emotional and pure. It’s honest and inviting. It’s country with the salty flavor of the delta blues. His CD includes songs that celebrate his Mississippi heritage with titles such as "Welcome to Mississippi", "Natchez Girl", "Where Am I From", and a soulfully breezy cover of Van Morrison's "Tupelo Honey". 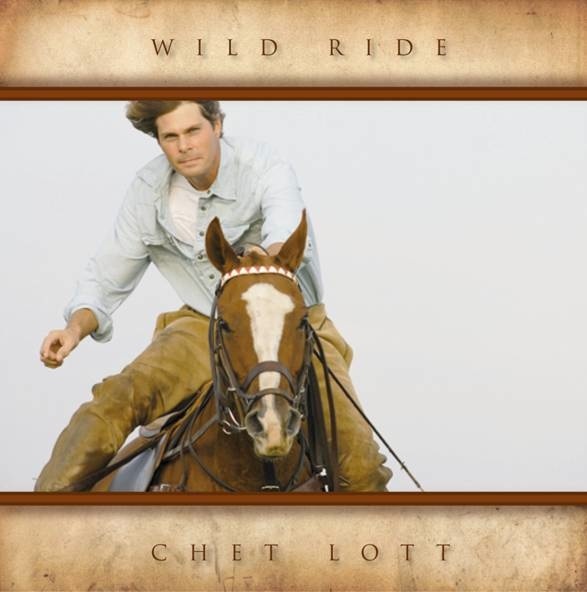 Chet Lott’s signature style has captured the interest of listeners nationally, as well as internationally. His music is featured daily on syndicated radio statewide in Mississippi and can also be heard on numerous other stations in the U.S., France and Poland. His original song “Where Am I From” (Erased It) and "On My Way To Paris" (Wild Ride) are featured on two compilation CD's with global distribution to over 1500 radio stations throughout North America, Europe and New Zealand. Since the devastation of Hurricane Katrina in 2005, Chet Lott’s music has provided him the opportunity to give back to a region he loves and to support a cause very dear to his heart. Through CD sales and concert appearances, he has raised and donated more than $125,000 to the Southeast Chapter of the American Red Cross for hurricane relief efforts.